Jen was absolutely beautiful on her big day. 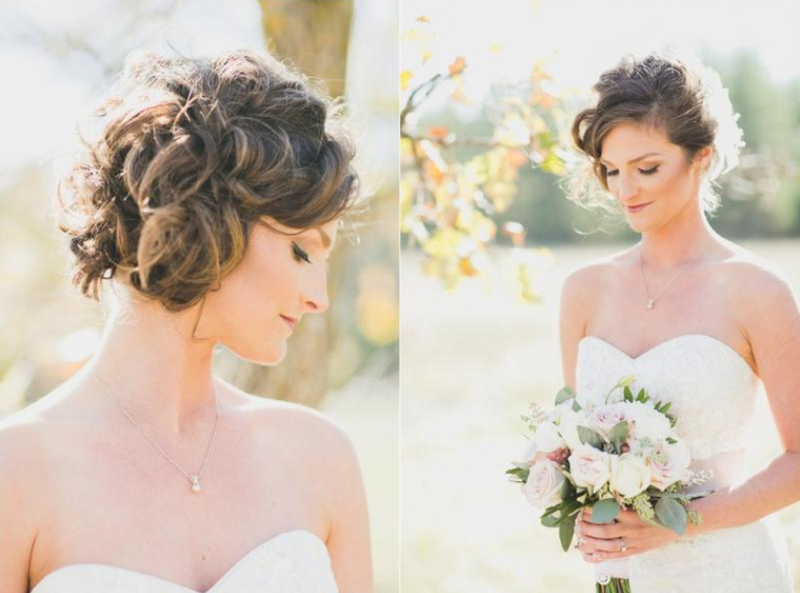 We love her smoky eyes and highlighted cheeks, a gorgeous bridal look! Her hair was pulled in to a curled side updo that was super unique and pretty!